Dev sells his family coffee estate as a statement underlining his renunciation of the world. When his mother dies heartbroken, he vows to prove worthy of her before scattering her ashes, little realizing that that involves confronting the world he shunned and his turbulent past. If you are attending MFF 2014, you can catch the film at 3:30 pm on Monday, October 20th at Cinemax Infiniti Mall, Versova and 10 am on Tuesday, October 21st at PVR Citi Mall, Andheri. Most probably you haven’t heard about any of these titles mentioned in the header of the post. But they seem to be interesting films, and hopefully we will get to hear more about them in the coming months. So here’s the official synopsis of all these films. Away from any media attention, Feroze Abbas Khan has completed his next film titled Dekh Tamasha Dekh. 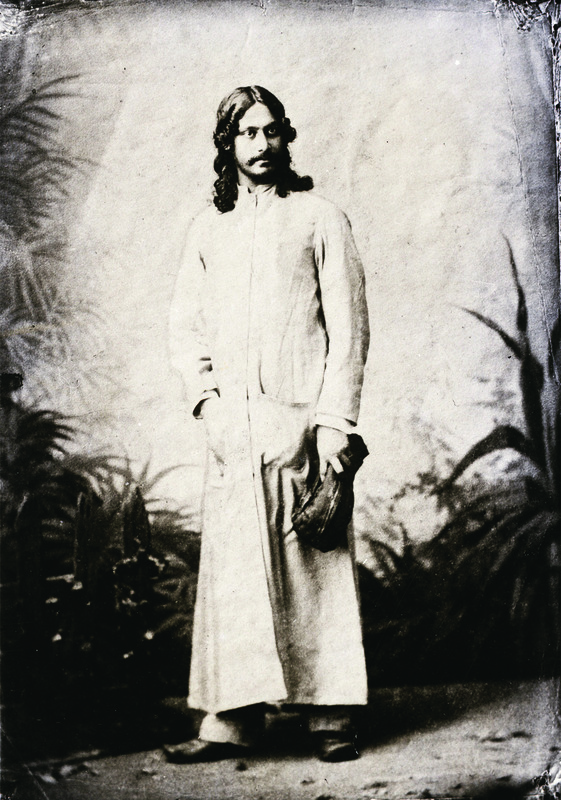 He had earlier directed Gandhi, My Father. Synopsis : The story revolves around the search for the religious identity of a poor man crushed under the weight of a politican’s hoarding. 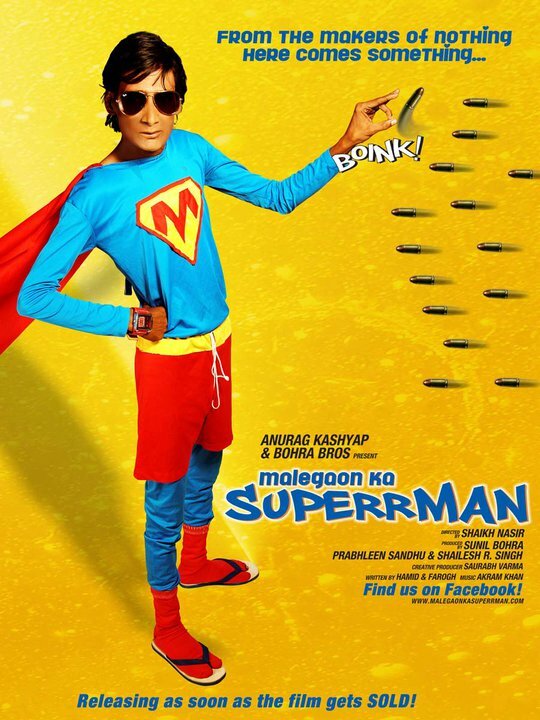 A social and political satire, the film explores the impossible India, where bizarre is normal. Directed by Feroze Abbas Khan. India 2012, 108 Minutes, Hindi with English subtitles. Manjeet Singh’s directorial debut Mumbai Cha Raja did a good round of film fests and now he is working on his next film titled Chenu. It has been selected for the 9th edition of L’Atelier organized by the Cinéfondation of the Cannes Film Festival. Synopsis : Chenu, a low caste Dalit boy living in rural North India, is drawn into an ongoing war between the extremely violent leftist “Naxal” militia and the fascist landlords’ gang. One day his younger sister Chano’s fingers are chopped off by landlord Teer Singh for plucking mustard leaves from his farm. When Chenu’s family is denied justice, the Naxals come to their rescue. They huntdown Teer Singh forcing him to take refuge under the protection of Bhagwan Sing, the leader of a landlord gang who has just cremated a cart full of dead relatives killed by the Naxals. The Naxals then involve Chenu in their operations and he comes to know where their weapons are hidden. When physically beaten by the rich village kids for playing on their turf, Chenu learns to fire a handgun himself. Meanwhile Bhagwan Singh, in thirst of revenge, consolidates other landlord gangs to form a powerful private army. A bloody cycle of violence unleashes, engulfing Chenu’s innocence while setting him on the cours of his own journey. I have been hearing about Devashish Makhija for a long time. Good to know that he is ready with his debut feature. Synopsis : Little Oonga missed his village school trip to the faraway big city Lohabad to see a play called ‘Ramayan’. Unable to handle the pressure of being the only kid around who has not seen the fantastic warrior-king ‘Rama’, Oonga runs away. He goes on a perilous journey across forest, river, mountains and roads – bigger than any he’s ever seen, and valleys lain to waste by the mining industry… until he reaches the large, cold, chaotic, blinding city. When he emerges from the play he believes he has become Rama! But he is now returning not to the warm confines of his little village, but to a battlefield where the ‘company’ will do anything to take the adivasi’s land away from them. Only, Oonga doesn’t know it yet. 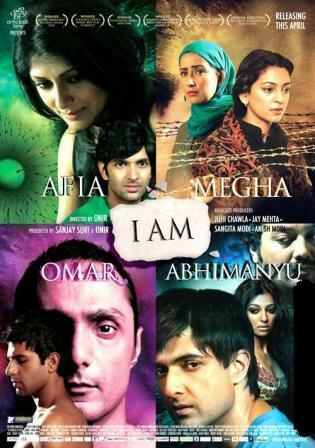 India, 2012, Feature Film, 98 Minutes, Hindi and Oriya with English subtitles. 2012 was a good year for Bollywood. 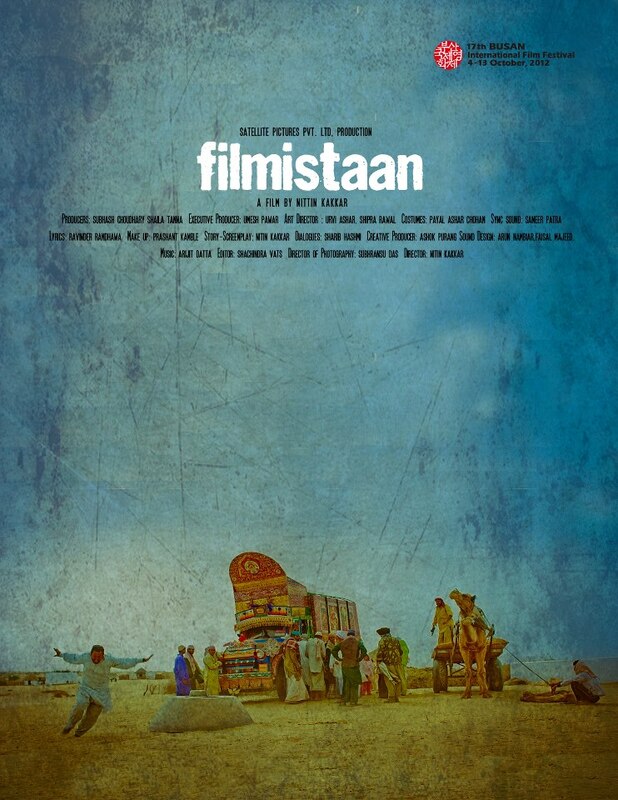 But beating all those films, Nitin Kakkar’s debut feature Filmistaan bagged the National Award for the Best Feature Film in Hindi Language. And if you read the synopsis, you might know why. It sounds delicious. Synopsis : This National Award winning movie is set in Mumbai where, affable Bollywood buff and wanna-be-actor Sunny, who works as an assistant director, fantasizes on becoming a heart-throb star. However, at every audition he is summarily thrown out. Undeterred, he goes with an American crew to remote areas in Rajasthan to work on a documentary. One day an Islamic terrorist group kidnaps him for the American crew-member. Sunny finds himself on enemy border amidst guns and pathani-clad guards, who decide to keep him hostage until they locate their original target. The house in which he is confined belongs to a Pakistani, whose trade stems from pirated Hindi films, which he brings back every time he crosses the border. Soon, the two factions realize that they share a human and cultural bond. The film shows how cinema can be the universal panacea for co-existence. India 2012, 117 Minutes, Hindi with English subtitles. Synopsis : ‘Fireflies’ is the story of two estranged brothers – Shiv and Rana. Shiv, a successful banker, lives in the superficial glitter of corporate Bombay. The younger brother, Rana, is a law school dropout who lives by the day. Though worldly experiences and illusions briefly illuminate the brothers’ journeys, a tragedy that befell them fifteen years earlier seems destined to repeat itself, just in new incarnations. Flames suddenly extinguish again, in an eerie heartbeat. The journey ahead echoing with voices and visions from the past, and the magic realism of the years gone by, beckons the brothers to find each other again. And the picture in the puzzle that was scattered so long ago. Fireflies come out in the night, just to light up the darkness. They live as long as the glow lasts. Even if it is a lifetime, being lived in a day. Directed by Sabal Singh Shekhawat. India, 2012, 102 Minutes, Hindi & English. 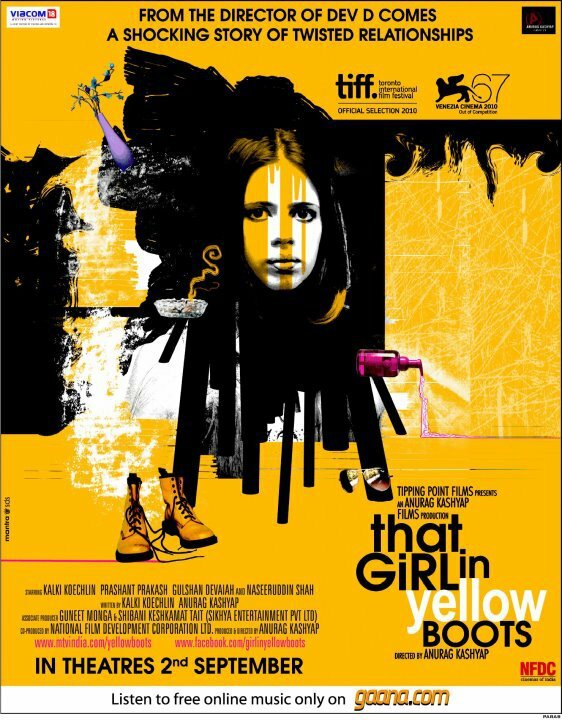 Anurag Kashyap’s next release That Girl In Yellow Boots finally gets an official poster. Not sure if it’s the same agency which has designed the posters of Dev D, Shaitan and now TGIYB but some design hangover seems to be there…similar elements, colours and that garish touch. Sanjay Leela Bhansali is also ready with his next production, My Friend Pinto. Directed by debutant Raaghav Dar, it stars Prateik, Kalki Koechlin, Arjun Mathur, Divya Dutta, Raj Zutshi and Shruti Seth. 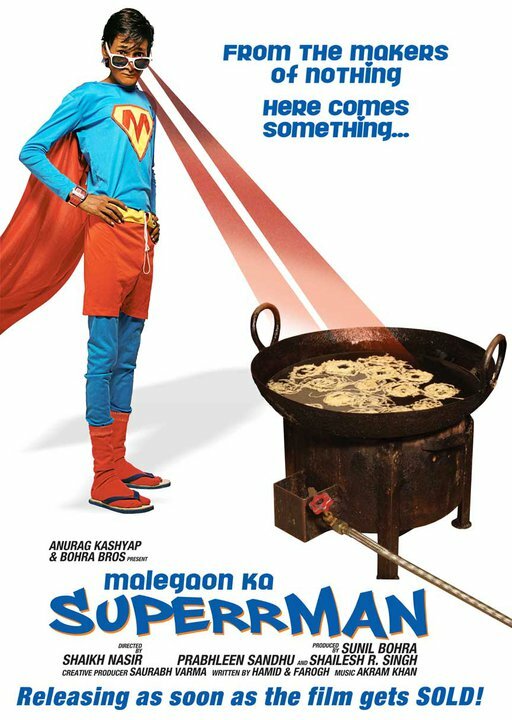 And the third one is Malegaon Ka Superman. This one comes from the cottage film industry of Malegaon. Do check out its tagline. 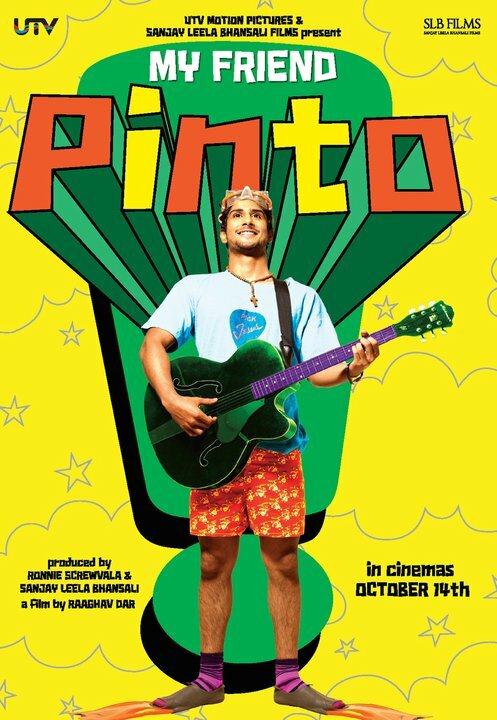 The trailer of Sanjey Leela Bhansali’s production My Friend Pinto is finally out. It’s directed by debutant Raaghav Dar, and stars Prateik, Kalki Koechlin, Arjun Mathur, Divya Dutta, Raj Zutshi and Shruti Seth. Raaghav and Arun Sukumar have written the story and screenplay, it has music by Ajay and Atul and Amitabh Bhattacharya is the lyricist. Also, this is the first Bhansali production which is not directed by him. Instead of melancholic blue, Bhansali going for complete madness. Have a look.